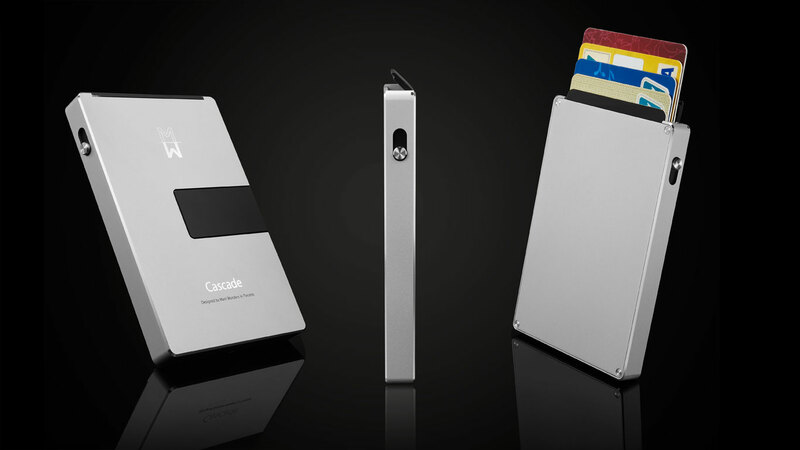 Now that we got your attention, there is only one way to describe this Luxury Wallet “Convenient Card Access With a Slide of a Button”. 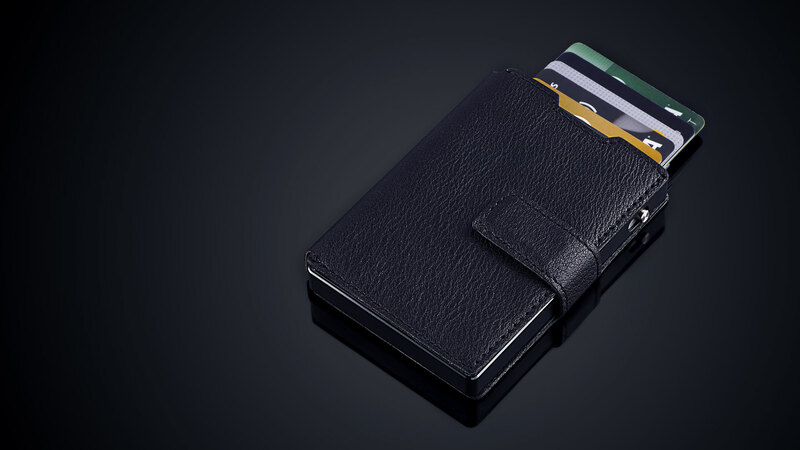 Canadian-based company Mani Wonders created this fantastic minimalist wallet with great attention to detail. Toss out those old bulky wallets and consider an alternative (Meaning an upgrade) to simplify your life. 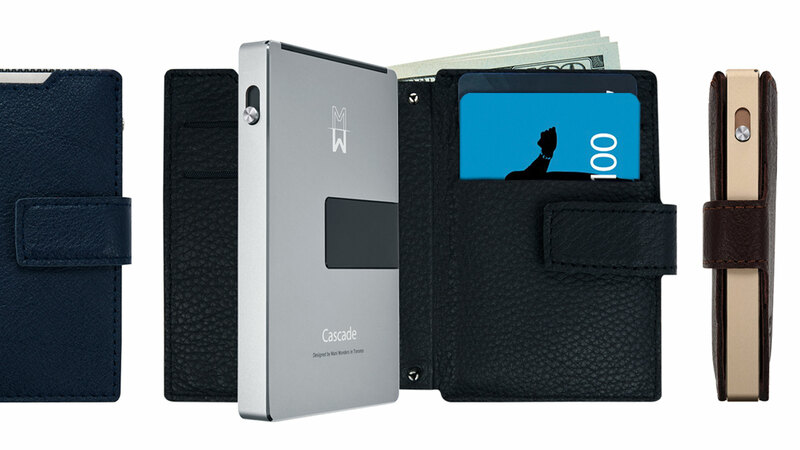 Mani Wonders Cascade Wallet is the ultimate wallet that is compact, easy to carry, and crafted from premium materials, leaving your friends in awe! 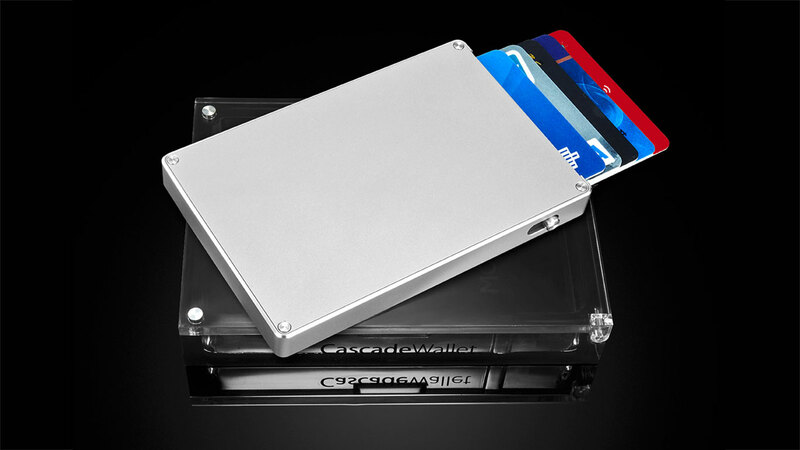 MMACanada.net was supplied a wallet to use and we absolutely loved it in every way possible! 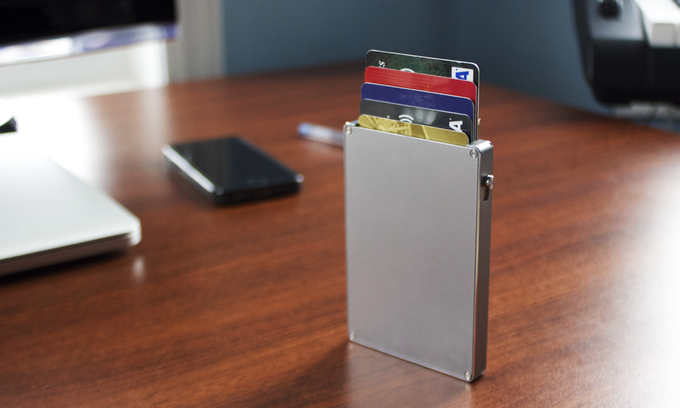 We were able to fit 5 cards (Credit, Interac, License etc – all of the important cards) neat and organized into this neat push-button wallet for easy access! When using it to pay for everyday commodities, not only did it make life easier with a push of a button, it caught the attention of many ordinary every day people. “Hey! What is that? Do it again, PUSH THAT BUTTON.. PLEASE!”, those were the type of reactions we’ve been getting day in and day out when flashing this gorgeous Canadian-made wallet! Mani Wonders has been featured in MANY of the industries top leading magazines in the Lifestyle genre and even celebrities and “important people” are catching on, and rocking this subperb invention! 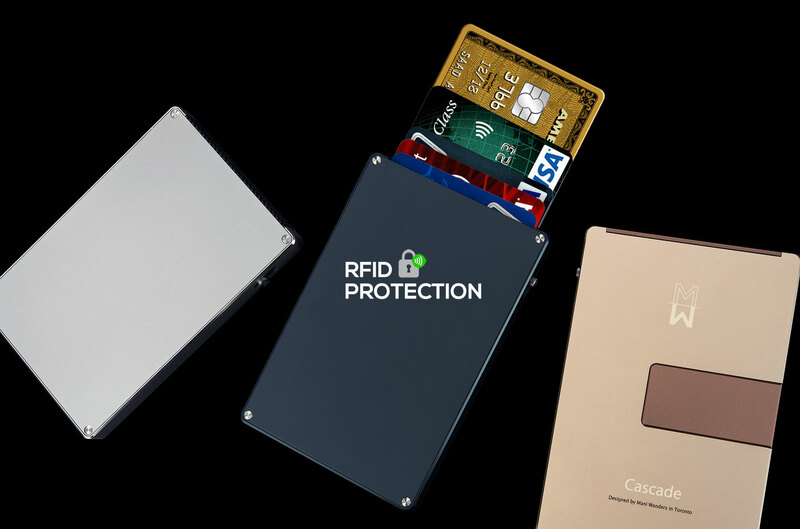 RFID Protection – Safeguard your personal and financial information when out and about! Carry even more when you attach the Premium Leather Cover! 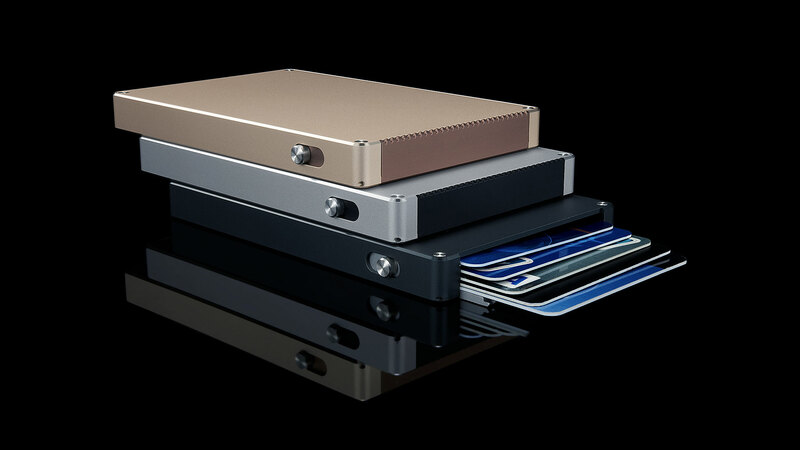 Now you can carry cash, business cards and alot more with you! For more information on getting YOUR Mani Wonders Wallet, please visit www.maniwonders.com. For your enjoyment, please watch the introduction and highlight videos of this amazing piece of sexyness below!